Product prices and availability are accurate as of 2019-04-13 14:58:03 EDT and are subject to change. Any price and availability information displayed on http://www.amazon.com/ at the time of purchase will apply to the purchase of this product. Why to pay a lot of money on a branded virtual reality glasses. You Can have ID Virtual Reality Glasses with the same quality but less expensive. 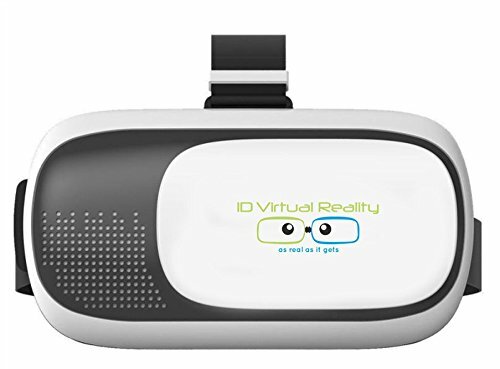 FEATURES: - Pupil Distance (PD) and Focal Distance (FD) both can be adjusted to get the best 3D immersive experience. Pupillary Distance adjustment range: 55mm - 75mm. Myopia less than 600 degree is ok to use it without wearing glasses. 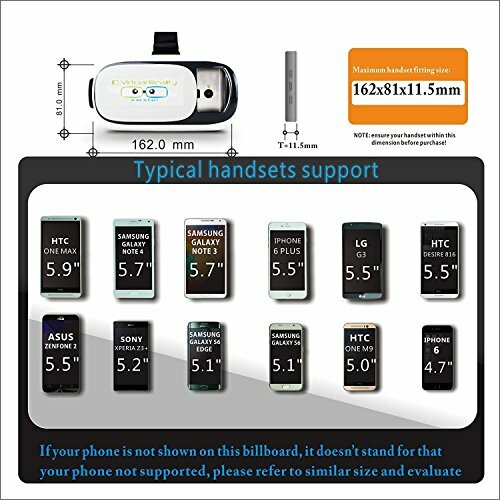 - Fits for iPhone, Android phones and Windows phones with screen size within 6.0 inch, recommended phone size is 4.7- 6 inch. The max length*width of phone is 154mm*82mm. Fits for: Samsung Galaxy Note 4/Galaxy Note 3/ Galaxy S6 Edge/Galaxy S6/iPhone 6s/iPhone 6/iPhone 6 Plus/iPhone 5c/iPhone 5s/iPhone 5/LG G3/SONY Xperia Z3+/HTC One Max/ Desire 816/One M9/ASUS Zenfone 2 etc. - You can charge and use earphone at the same time through the ventilation holes on both sides. TECHNICAL: - Model number: IDVR-406183 - Weight: 1lb. - Product dimensions: 162x81x11.5 mm - Condition: new ADVISORY: Use is safe, but suggest no more than 3 hours each time, So that your eyes can have a rest.